Emily Branch Designs | Branch Out. : Avocado Arts + A little Sunshine! Avocado Arts + A little Sunshine! Hey there friends! I'm in Las Vegas with my hubby! He had a business trip and I had a week off from school, so I came along and I am so happy that I did! I've never been here before, and WOW! It's amazing!! I've seen fine art, flamingos, New York and the Eiffel Tower!! It's been so much fun! But, onto the fabulous stamp set from February's Avocado Arts release, "Wishes and Kind Thoughts." 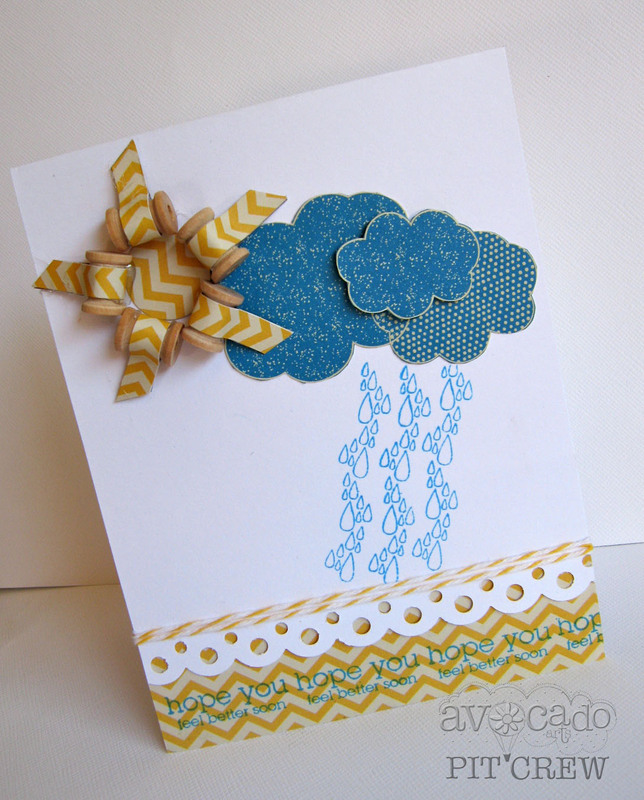 I was totally inspired by the rain stamp from the set and wanted to use it again! I like that the stamp is narrow so you can add as much or as little rain as you want! 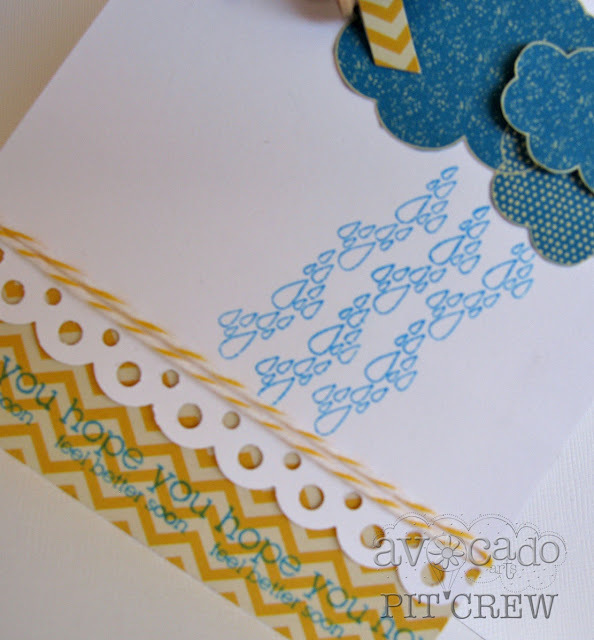 I love stamping sentiments directly on patterned paper. Just make sure it's not to busy a pattern. This is gorgeous, Emily! I LOVE the sun you made with tiny spools. Eeek!